Learn everything about recorking and reconditioning wine. Recorking wine has been going on for centuries. Today, recorking wine takes place less often these days than at any time in history for numerous reasons. 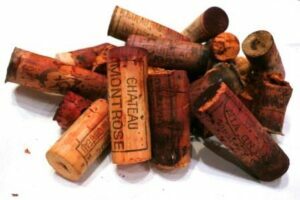 Recorking wines is done because at some point in time, wine corks deteriorate and lose their elasticity. This means the corks will no longer hold their tight seal. Air will enter into the bottle allowing the wine to evaporate. The evaporation will then introduce additional oxygen into the wine, which will overtime, maderize, damage and finally kill your wine. For centuries, it has been commonplace to recork wines in most wine regions. In Bordeaux, the thought was to replace corks roughly every 30 years. Chateau in the Medoc would also recork wines for known customers. Chateau Lafite Rothschild, the First Growth chateau operated clinics all over the world where they brought a recorking machine with them to various cities. Customers could request to have their bottles recorked at these clinics. At the time, Lafite Rothschild did not limit customers to just those with older bottles of Lafite Rothschild. It was quite common in those days to see several other top Left Bank wines. Lafite Rothschild no longer holds those open clinics. They stopped that practice before 2005. Penfolds the famous Australian winery that counts Grange as their top wine is one of the few, remaining wineries that conducts recorking clinics on a traveling basis. Penfolds allows customers to bring not only older bottles of Grange, or other wines from Penfolds produces. However, Penfolds goes a step further and, if the bottles are sound, will offer to recork wine from other producers. If you have an older bottles of for example Grange, which is still good, but with a low fill, Penfolds will provide wine from a recent vintage to top the bottle off. The practice of recorking bottles for customers has almost been stopped in its entirety, due to the high possibility of fraud. For centuries, it was possible at a few of the top 1855 Classified Growths to get your wines recorked. Today, it is almost impossible. 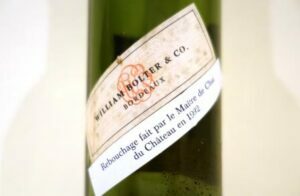 Previously, when suspect bottles were brought in, if the chateau felt the bottle was a potential forgery, they could remove the foil or lead capsule and the bottle was returned to the customer in the now worthless condition. If after opening the bottle, if it was determined that the wine was not what it was purported to be, the winery would destroy the wine and bottle, informing the customer after. The process of recorking wine is simple. The wines are placed in the cellar for a period of time to allow the sediment to drift to the bottom of the bottle. The bottles are then cleaned to ensure no dirt or unwanted particles are allowed to enter into the wine during the recorking process. The bottles are cleaned using sterile cloths to avoid chemicals coming into contact with the wine. The cork is removed using a recorking machine. At this point in time, the person in charge will coat the wine with a layer or blanket of nitrogen. The nitrogen will stop unwanted oxygen from entering the wine. Next, the person in charge of recorking the wine will inspect the wine making sure the taste of wine is sound. They will check for problems with the cork, TCA, brett, maderization or other potential problems which of course include Cork Taint. If the wine is not sound, the bottle will be rejected and disposed of. The wine and the bottle will not be returned to the customer. If the bottle belonged to the winery, the wine and the bottle will be discarded. At this point, the original bottle will be topped off. Meaning, additional wine from the same vintage, (When possible) will be added to the bottle. Of course with vintages over 100 years of age and definitely with more than 150 years of age, it will be difficult if not impossible to find the same wine to top off the bottle with. In those rare cases, the wine could be topped with an old and hopefully similar vintage, else the winery could use a younger wine, from a vintage similar in character. In most instances, the customer or winery will start with a full 12 bottle case and use one bottle for topping off with. At the end of the process, once the wine has been recorked, the owner will be left with 11 recorked bottles. The same bottle with the sediment will be used. Remember, the wine was not removed from the bottle. This helps keep the potential exposure to oxygen at a minimum level. After the bottle has been opened and tasted, the topping off is conducted using a small tube and more nitrogen. The bottle is again cleaned and a dose of sulfur dioxide, SO2 will be added to further protect the wine from exposure to air, caused by recorking the wine. 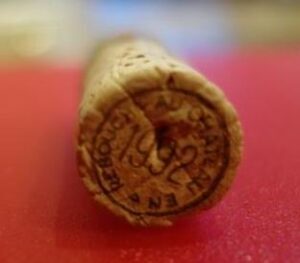 A new cork is then reinserted stating the bottle has been recorked. It will show the year the recorking took place and might also use the term “rebouchée” on the cork, which is French for reconditioned, or in this case, recorked. The bottle could also be laser etched letting you know the wine has been recorked. The date of the recorking can also be etched onto the bottle as well. You can also find labels attached to the bottle letting you know the wine was recorked. The labels will include the date of the recorking and can use the term recbouchage. If the potentially recorked bottle does not display a sticker, etching or marking of any kind showing the bottle was recorked, you will need to remove a portion of the lead capsule that allows you to view the cork. Before the recorked wine is released, the bottles are placed standing up for one or two days. This allows the new cork to fully expand and become a tight seal. At that point, the bottle is recapsuled and the process of recorking is completed. Due to the introduction of nitrogen and SO2, the recorked bottle should not be opened for at least 3 to 5 years to allow the extra gas to dissipate. If you were to open a recorked wine shortly after if was recorked, the wine would be mute and not display much, if any aromatic or flavor intensity or complexity. The process and results of recorking wines has as you might expect, its fans and detractors. If you are planning on cellaring a wine for more than 100 years, or if you have an old bottle that is already over 80 years of age that you wish to hold longer, recorking definitely makes sense. However, having tasted enough recorked wines, and bottles with the original cork intact, my personal view is, wines with the original cork are going to deliver a better, more complex tasting experience. There is one other important consideration. Recorked bottles generally speaking, resell for less money than older bottles with the original cork still intact. One last bit of advice. If you have an expensive bottle of wine, do not recork your own bottle. Regardless of how many videos on You Tube you watch showing you how easy this is to do, you will kill 90% of the value of your wine by doing this on your own. If you are offered a bottle of wine that has been recorked by the owner, and not a winery that is qualified to do this, do not buy the wine unless it is perhaps being sold at a discount of at least 90%! On the other hand, there is no fear about buying a wine that has been professionally recorked at the winery. Chances are, especially if the bottle was recently recorked, the wine should be sound.